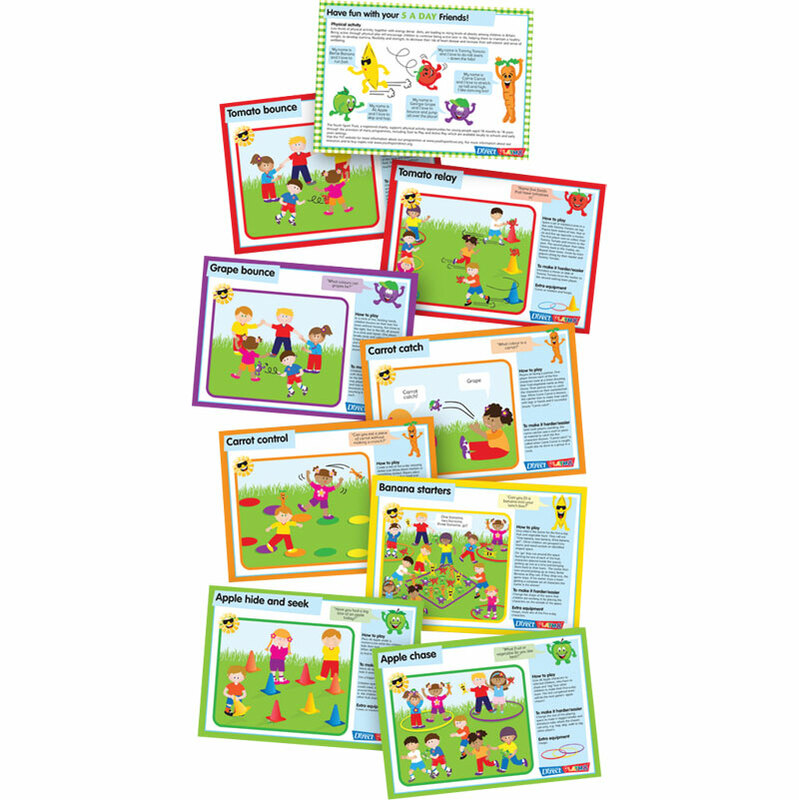 PLAYM8 ® 5 A Day Character Cards, pack of 9 character resource cards containing three fun activity ideas for each of the 5 A Day friends which can be played with either the 5 A Day latex characters or 5 A Day beanbags. These activities will help reinforce the message of healthy eating, build literacy and numeracy while having fun. Cards: Pack of 9 A5 size, 8 double sides and 1 single sided.